Main author for the world’s leading picturesque and functional travel guide series, the Turkey Eyewitness guide published by Penguin/Pearson is now in its third printing (2008). Dorling-Kindersley Eyewitness Travel Guide: Istanbul – updating associate. TRIPORATI is a smart, on-line travel planning tool designed and written by professionals. Let high-status travellers and writers be your mentors and pathfinders. 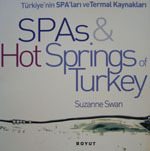 The first and only book that details Turkey’s many natural thermal spas. Many are prescribed for their therapeutic properties that relieve a range of common ailments. 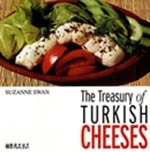 A leading book with many photographs that details Turkey’s delicious traditional cheeses. Over 50 varieties are detailed and their history and production are explained along with tasting notes and recommendations.